It wasn’t long ago that I wrote about New York City’s great creative force, Michael Harren. 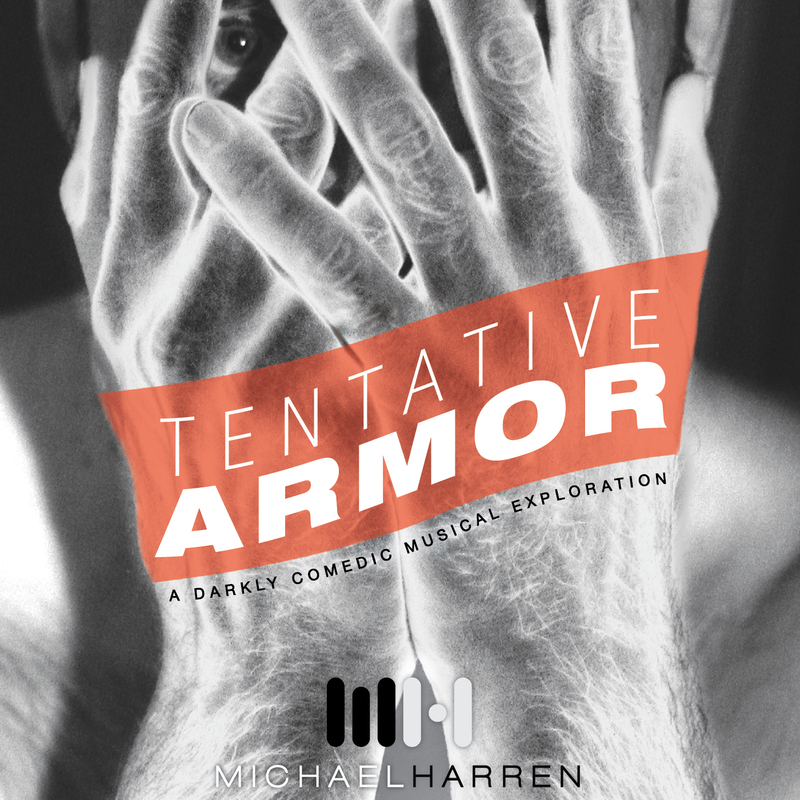 In a brief piece spotlighting his single “Invocation,” I wrote that Harren’s work “takes the science of a composer like Eno, and the spirit of a composer like Oldfield, and combines the two in a bold display of human dichotomy.” Now that I’ve heard the full-length album, Tentative Armor (due out tomorrow! ), I agree with my own statement two-fold, and feel it necessary to expand on said human dichotomy as the full record certainly has. The record begins with the short and aptly titled “Prologue.” This short composition shows off a sound that is tranquil yet oddly troubled. Beginning with effected vocals and a soundscape that is very Eno, the track creeps its way along to a brief yet subtly stunning exit. This “Prologue” does its job magnificently, setting the listener up for the “darkly comedic musical exploration” that is to follow. Michael Harren, like most of my favourite composers, seems to hold light in one hand and shade in the other, often exploring things deeply personal but with an oddly compromising quirk that becomes his signature. Things get rather strange with the spoken word segment. Now, if you’re going to accuse me of being homophobic, I would advise you to store that b.s. away right now because I am most certainly not. Yes, the spoken word element of “Mango” is a story of two men sharing fruit salad, and spiritually something more, in the midst of a metropolitan setting, but at its heart is the oddity and boldness of human desire and the age-old one that got away story. It’s a sad ending because it’s about someone needing and perhaps almost being rescued, but not. At the very least, it’s not about conquest, which is how this sort of story usually plays out, so I am grateful for that. No, I’m not homophobic, but I am a prude. In the end, what bothers me about the spoken word segment in “Mango” is simply it’s over description of ‘physical elements’ (if this were a lady or hetero dude telling the story I’d still be rolling my eyes, I assure you) and the melodramatic effect on the secondary voice that adds a gaudiness that cheapens and undermines the beauty of the composition. 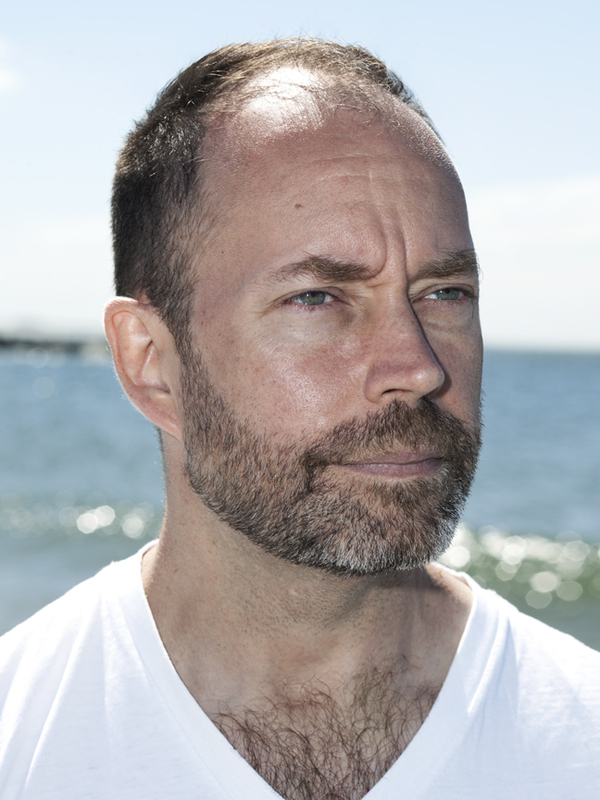 Michael Harren (Photo: Joshua Scott). The next composition, “When It Will Bloom,” is a stunning bit of duelling moods as it struggles gracefully between cheer and melancholy. The strings take over halfway through and lift it up fantastically. It is a well-crafted bit of grace that further accentuates the fragile humanity that seems to be Tentative Armor‘s focal point. 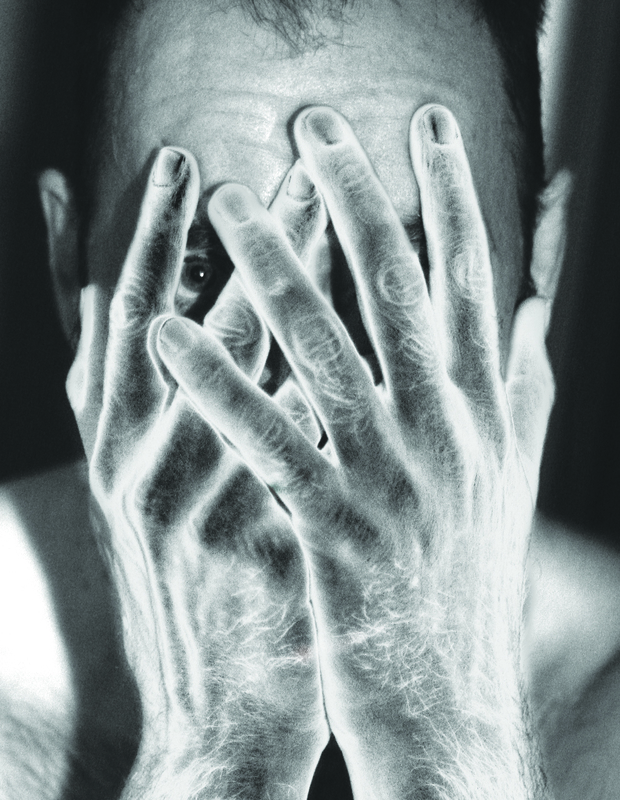 “Five Tasks of Grief” is the album’s epic, fourteen minute minimalist centrepiece. It is essentially the story of the author’s attempt to come to terms with his mother’s passing, and it is quite breath-taking, despite a certain unnecessarily crass C-word and F bomb being dropped somewhere in there. Sorry, the prude’s going away now… It starts plainly enough, as most minimalist compositions do, with a terse rhythm, a little gloom, and the spoken word piece. It opens up after the two-minute mark and slowly develops into something elegantly beautiful, the thing I love most about minimalist music. After the author explains what his mother meant to him with a short glimpse of background and one short line “she got me in a way that no one else did,” the already low-key music dies down nearly to silence as Harren delves into more painful territory. The sadly beautiful narrative plays out through diary entries and we are then taken through the ‘five tasks of grief’ that are the inspiration for this tune and how they relate to the author and his very personal experience. In a minimalist soundscape where there are normally so very few fireworks, the words and the emotional responses to them do the job quite nicely. The strings on this track, and indeed on the entire album, are a definite highlight. When we’re through with the five tasks, the music slips away into a sombre piano piece that hits hard before the author signs off and the tasks are repeated over the soothing musical ensemble. Despite the two or three crass moments that initially irked me, I must say that this tune touched me in the same way that Peter Gabriel’s Up did, especially “I Grieve” and “No Way Out,” both dealing with the death or near death of a loved one, and two of my favourite Gabriel compositions period. From here, we are treated to the piano ballad “Go.” and Harren’s singing voice. While his is perhaps not the most perfect voice ever, this helps make the tune more personal sounding. The emotional delivery is pretty fantastic, the piano work is great, and the lyrics are quite notable as well. This tune leads into the minimalist instrumental piece “Gone,” which builds into a stunningly wondrous coda, care of the touching piano and sweeping strings. As already mentioned, I’ve covered “Invocation” in a previous article for the publication, but I feel it quite necessary to mention once again how magnificent it is, especially as a coda for the entire record. It still knocks me out at 1.03 when the sombre synth comes in. How this spectacular beauty of a composition develops into its thrilling climax is what roped me into fandom in the first place and it is fitting that it be at the end of the record, even though I had initially wondered why the single would not instead open the record. Now, hearing “Invocation” in context, after “Five Tasks,” “Go.,” and “Gone,” I completely understand it and appreciate it all the more. As an epilogue to the record, “When It Will Bloom” is reprised, slightly remixed and with a repeated female vocal. In a pinch, this also serves as a good coda for the record, as the glockenspiel ending is one of my favourite moments on the album. Hearing it again is no slight, I assure you. Harren (Photo: Benn Strothmann, Design: John Ong). While the record doesn’t play out like a typical ‘what is the human spirit?’ record, I feel that it’s even more special that it comes from the ‘black sheep’ perspective. That the author has clearly battled with being different throughout his life makes Tentative Armor that much more compelling and listenable. It has its flawed moments where perhaps things are a little too literal, but such things are sometimes necessary to expose the reality of the situation. At those moments, as a listener I’m annoyed that it’s taking away from the beauty of the music, but as a ‘reader’ I’m pleased that the author’s humanity bravely appears every once in a while to remind us that this is someone really opening up. It’s the kind of struggle between perception and emotion that, in the end, is what true art is all about. Tentative Armor is released tomorrow, October 14, simultaneously with a book that is also part of the project. It’s heavy subject matter paired with masterful minimalist composition that I believe should be witnessed by audio art lovers of all kinds. Open your minds and hearts and let Harren’s work take you on one heck of a trip. RYAN SMITH spends a great deal of his time under troll bridges shaking his fist and hollering obscenities at the mainstream, but occasionally finds himself on the side of a pop act that the underground has disowned. A schizoid fan for the 21st century? Although he has a diverse musical taste that runs the gamut from black metal to country to most forms of jazz, Ryan’s first love will always be progressive music.